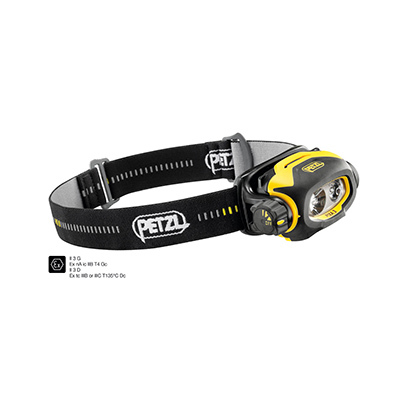 The PIXA 3 headlamp is rugged and versatile. The multi-beam adapts to all situations: close-range work, movement, and long-range vision. CONSTANT LIGHTING technology: brightness does not decrease gradually as the batteries are drained. It meets ATEX zone 2/22 (II 3 GD Ex nA ic IIB T4 Gc tc IIIC T135°C Dc) certification requirements for work in explosive environments.